I have a beautiful book to show you this month. 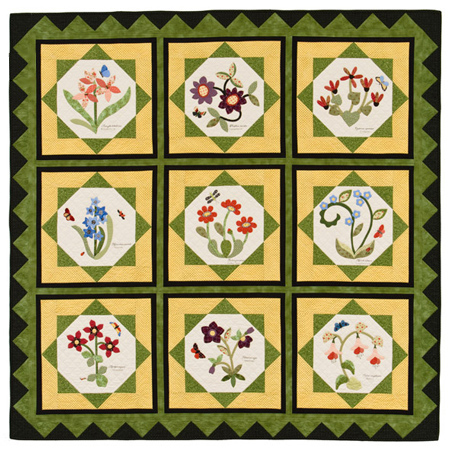 Flowers All Around: Garden-Inspired Quilts by Cindy Lammon comes to us courtesy of That Patchwork Place. 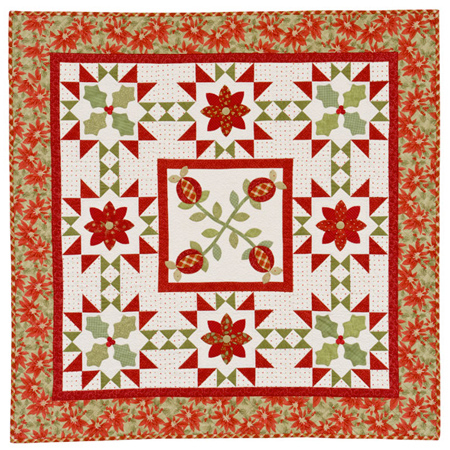 A combination of appliqué and piecing creates the most beautiful quilts IMO. 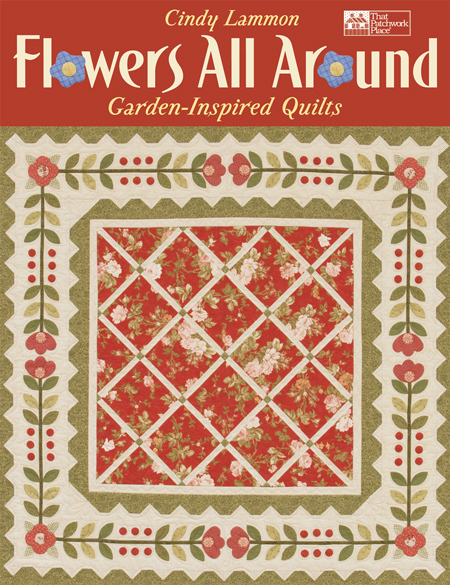 This book presents five such quilts with detailed instructions on how to make them. The author also provides fantastic illustrated appliqué instruction for both needle-turn hand appliqué and fusible machine appliqué… take your pick! There is also very good basic information on selecting fabric, rotary cutting, machine piecing, pressing, adding borders, and binding your quilt. If you’d like a chance to win this book, please leave a comment by Friday, January 7, 2011. U.S. and Canada only. Those subscribed by email or feed reader, click the title of the post to be taken to the blog itself, then scroll to the bottom of the post to leave your comment and enter the drawing. Good luck!! Top of the New Year to you! 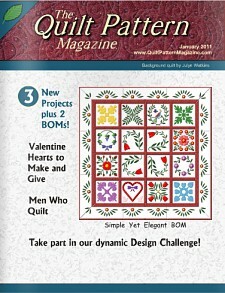 Today’s the day to pick a random winner for a year’s subscription to the new on-line Quilt Pattern Magazine. Random.org has declared that the lucky winner is Angie, who posted on December 11th at 8:11 p.m. Congratulations Angie! You’ll be hearing from the magazine soon, so be sure to watch your in-box for the details on how to activate your subscription. You’ll have until January 31st to claim your prize. Many thanks to everyone else who entered the contest. Though the chips didn’t fall your way this time, you can still get a great magazine at a great price. The premier issue is up and running today! 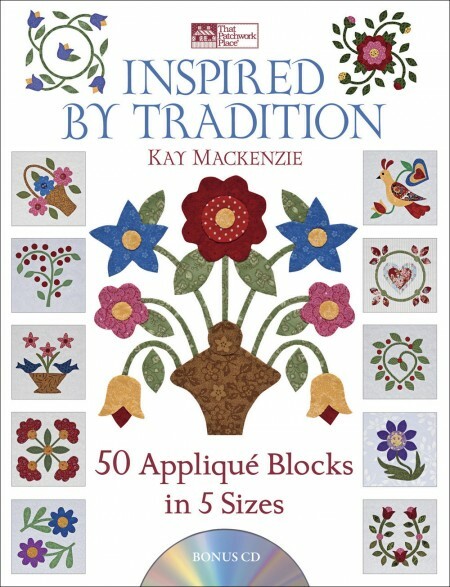 I’ll be back soon with a look at another beautiful quilting book, and after that, I’ll talk about MY new book, which comes out March 7!